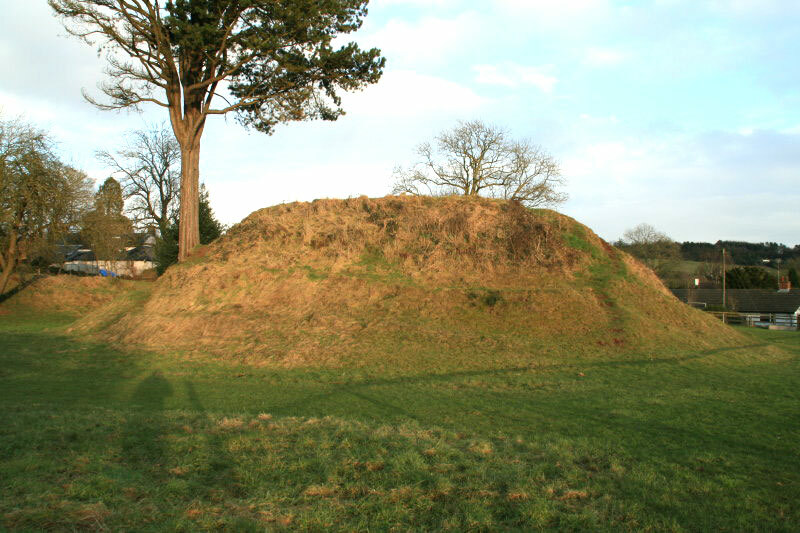 An early 13th century motte and bailey castle, constructed in wood. 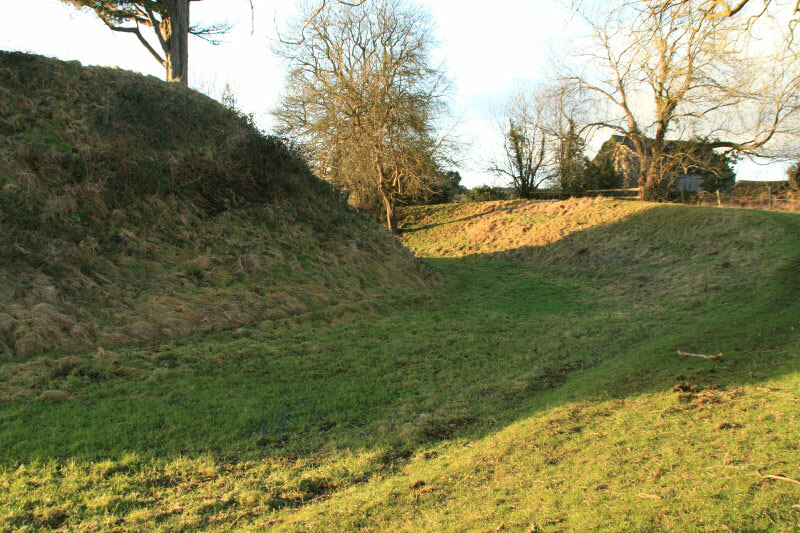 The motte still stands 18 feet high, but only one small part of the original ditch around it remains. 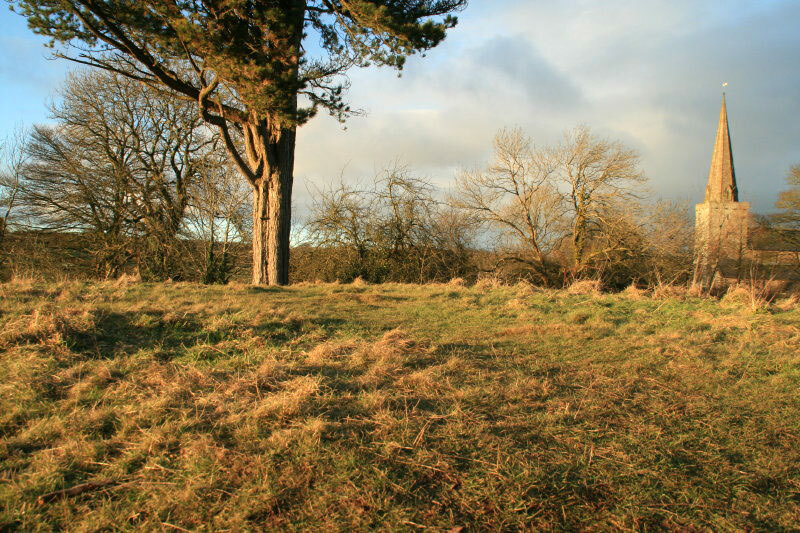 The remains of some stonework on the top is the ruin of a 19th century summer house. 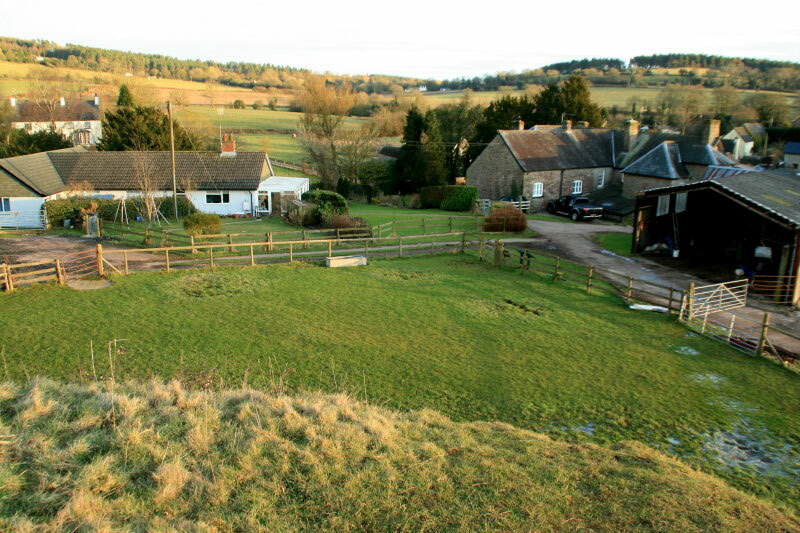 The bailey has now been built over by housing.